Hey hey! I come bearing good news! I don’t know if you’ve passed by a Watsons store lately, but if you have, I’m sure you’ve already seen the Watsons Triple Treats posters plastered all over. Now before you move along and ignore them, I urge you to stop, look and listen (yes, I sang these words in my head) because you just might win an iPad Mini, iPhone 5s, Watsons GCs or a brand spanking new BMW 116i!!!! Awesome, right? 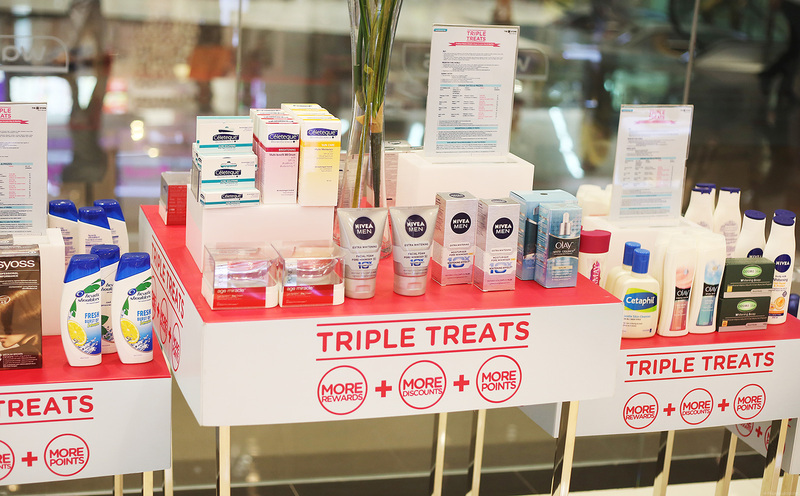 So how can you join the Watsons Triple Treats promo? For every P500 purchase, inclusive of at least one qualifying product from Watsons or The SM Store Beauty Section, you can get one e-raffle ticket to join. Qualifying products include Olay, Ponds, Nivea, Celeteque, Cetaphil, Head & Shoulders, Belo Essentials, Biogenic Alcohol, Concaze, Rexona, Swish, Camay, Creamsilk, Nivea Men, Syoss, Ceelin, Belo Neutraceuticals, Strepsils, Cosmo Skin, Bench, BYS, Cutex, Ever Bilena, Revlon, Hair Treats, Solmux, Cosmo Cee, Berocca, Growee, Delfi and Absolute. When you’re done shopping, don’t forget to register and submit your e-raffle via SMS in order to qualify. You can read the full mechanics below for the instructions on how to do this. Don’t fret! It’s very easy! Now, don’t go wasting your time. 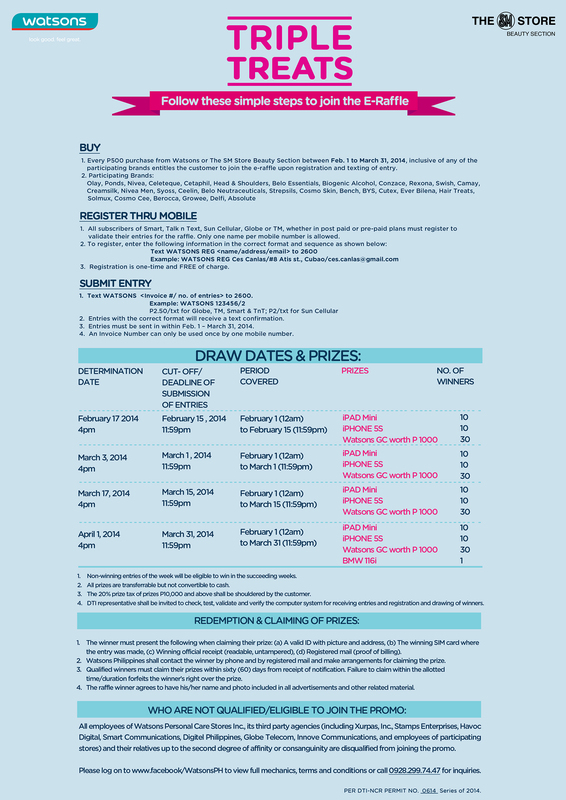 You’ve only got 2 weeks left before the grand draw on April 1! 10 winners will get an iPad Mini. Another 10 will get an iPhone 5s. 30 will get Watsons GCs worth P1000 each. 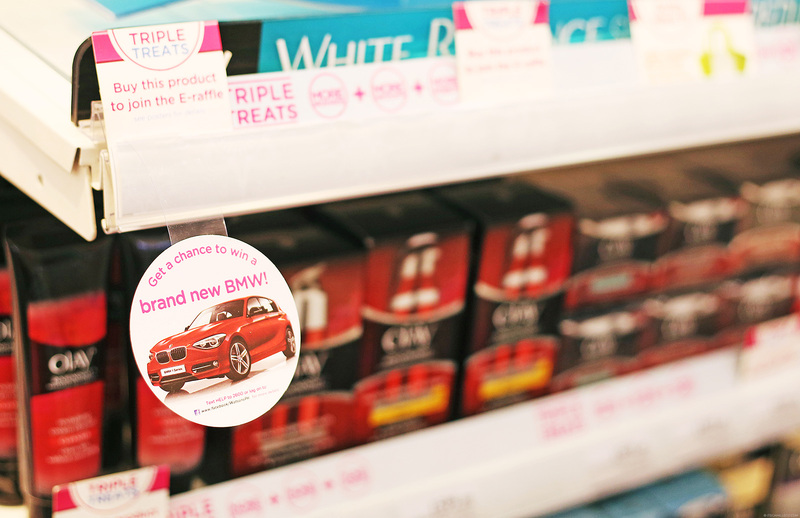 And finally, 1 lucky winner gets to drive a BMW 116i home! 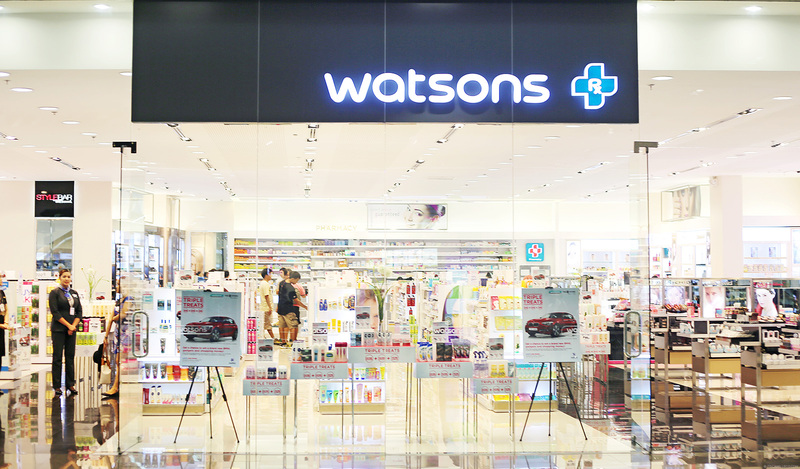 Log on to www.facebook/WatsonsPH, follow Watsons on Twitter and Instagram or text HELP to 2600 for more info. Promo ends on March 31. Per DTI-NCR Permit No. 0614 Series of 2014.
i think watsons always gives a great treats :) btw, have try using cosmetic products made in our country? 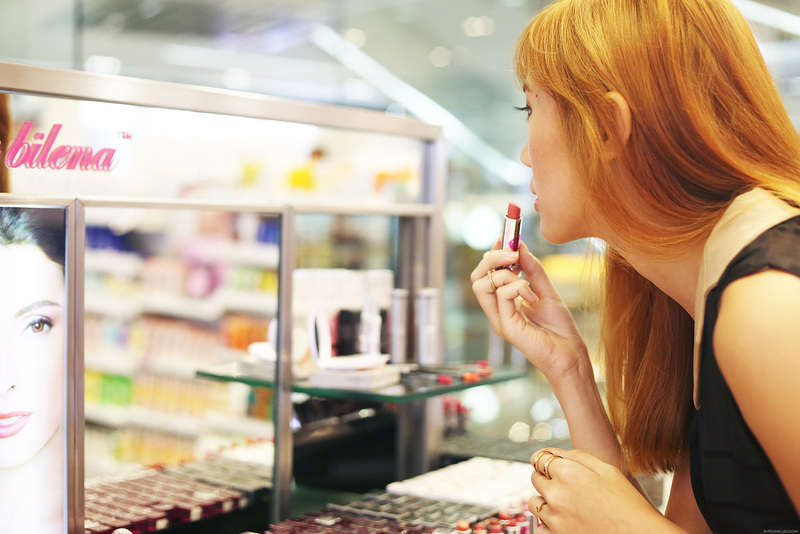 Watsons store really is a woman who’s shopping paradise, there are numerous items for people of any choice, I believe every one will buy their favorite goods. Your fifth photos dressed like a noble the young woman, I like! Thanks for sharing, Cams! I haven’t passed by a Watsons store lately (been so busy with my finals!) but will make sure to stop by the nearest one within this week. The prizes are all great and I wouldn’t want to miss the chance to win any of them! Keeping my fingers crossed for an iPad mini lol (I want it even more than the car). What watson’s branch is this? Sm aura? In reading your blogs for a while now, one thing stands out as abundantly clear: you are just as much a beautiful person on the inside as you are on the outside. Thank you :) I’m flattered! Oh yes I bought like a mad woman! Sayang ang sale! It’s perfect since my mom, sister and I use the same products so tipid. :) I almost forgot to text in my entry. Good reminder Cams. Good luck!!! :) Prizes are awesome!